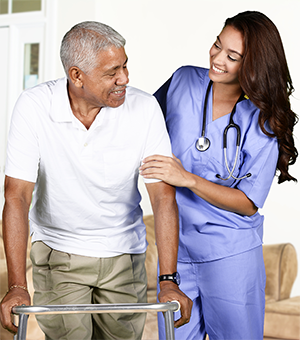 Do you have a loved one who is recovering from an illness, injury, or accident who needs physical rehabilitation or skilled nursing? Are you planning to have hip surgery/replacement or knee surgery/replacement? Are you recovering from surgery or an orthopedic “event” that requires a post-hospital recovery at a rehabilitation center? If so, where you choose to recover matters. The Rivers Grosse Pointe is rethinking physical rehabilitation! After a life-altering medical “event,” you want nothing more than to return to the joys of life before your surgery, illness, or accident. Your “job” is to regain your strength and life skills, so you can get back to independence. That’s what we want too. The team at The Rivers Grosse Pointe is committed to helping you regain your independence just as quickly as possible. What can you expect at The Rivers Grosse Pointe? When you choose The Rivers Grosse Pointe for physical rehabilitation, you’ll work with a caring team of top-notch licensed therapists for your physical therapy, occupational therapy, and speech therapy. The on-site rehabilitation center and therapy gym are bright and state-of-the-art. It’s a positive, dynamic place to recover! Great care goes beyond therapy! While you’re working to regain your independence, you’ll stay in a spacious, comfortably appointed private suite with a private bathroom. A large picture window provides natural light and gives the suite a cheerful feel. 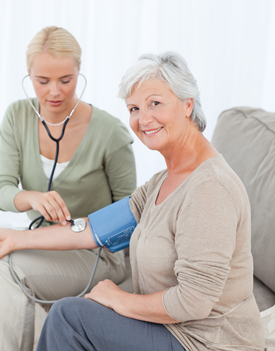 Assistance is provided for the tasks of daily living, medication management, and any other areas of concern. Care staff is on-site 24/7. Of course, recovery is “job one,” but you’ll have plenty of opportunities to socialize, participate in engaging activities, and enjoy scrumptious meals and snacks prepared daily by The Rivers’ culinary team – meals that are nutritionally balanced and designed to “fuel” your recovery. …But it’s our team that really takes physical rehabilitation at The Rivers “over the top.” We don’t just give care, we really do care. We’re committed to your success. That means, evaluating your progress regularly, working with you to make sure you’re achieving your recovery goals, and catering to your individual needs and preferences in ways that support you in your recovery. As a testament to our success, many of those who complete rehab at The Rivers make the transition to an independent living apartment or assisted living suite at The Rivers Grosse Pointe. Getting you back “home” is what’s best for you and frankly, what’s best for you is important to us!